Word Debt has been published. Ah I recognise the little face picture thing now (gravator?) – I thought I had lost touch with your writing. Glad to have caught up again – enjoyed this “chap books in need of lip balm”! And the slight wave to WHAuden at the beginning?! Enjoyable to read. Truthful, funny, insightful. Thanks for sharing this. I like the word play, especially in numbers 5, 7, 10, and 12. You can take out the word “a” in line five. I like it, I mean more than just a courteous “like” in the social media sense. We live in a time of vapid, vacuous, verbalizations. Of course that’s not to say EVERYTHING is garbage, obviously not, but it does make you wonder how much time is wasted on meaningless words? Is it noise with a purpose, or noise for the sake of noise? Good entertaining post. Pleasure to read. Fun word play list. Enjoyed reading! I love the format and rhythm of this poem. I love your work. I don’t remember the names, but I also remember the gravatar. Eventually I am going to write a blog post about my favorite writers/bloggers; yours is on my short list. Very punny. What a delight! 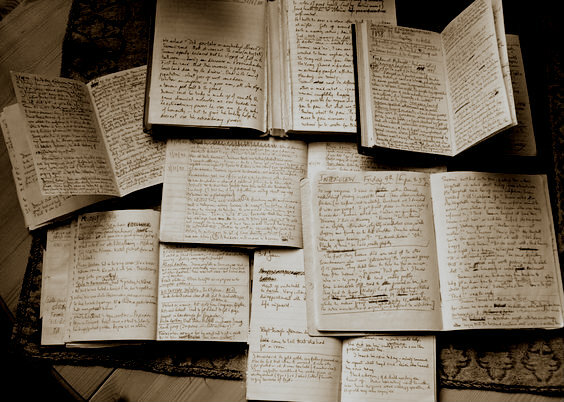 “More writing than reading have sentences in a sweat.” – I loved this line. Your creativity is refreshing. Thanks so much! I started writing lines and phrases I especially liked and with a bit of tinkering came up with a list. lol! This is brilliant !! And it takes the mickey as well !! Thanks! I thought I saw Mickey in the mirror, but he shot off and ran away as fast as he could. All that was left was me trying to fix my Medusa, so nobody would turn to stone on my way to work. Words, so often found out of order to make clarity misrepresented, are very well placed here. I like how you criticize different aspects of today’s social media era, by critiquing the different methods of communication that are commonly used. Very sharp writing. And then there’s me. I am not a fan of poetry unless it’s The Raven or If or Mighty Casey has struck out. I just don’t get it. What I got out of this particular poem was how I felt this past week while writing my first article for an online newsletter. An essay. State my position in the first paragraph and make sure to re-state it but differently in the last paragraph. I had ten days to submit it and by the time I did I could not turn my head from left to right because I was so stiff. Finding the right words for that last paragraph almost made me cry. Loved your post. Love how you played with words in this poem. “Whiskey arguments” grabbed my attention and I had to keep reading. The last line is oh, so true! I “sweat” over words that hardly anyone reads. Fantastic. Brilliant. I often think of these writing tokens. What fun!! (take a bow Patricia Hodge!) Adore the photo too, I could stare at it for ages, it feels almost hypnotic. I just adore your writing. Every time I check in I am happily surprised and inspired. Truly, thanks for that. Enjoyable cogent read! To my ear at least, sound and sense are perfectly balanced. So clever and enjoyable, as I believe all your posts are. Lovely, thank you! I really enjoyed this. Each item acts like a color in a picture painted about the world of writers.